When I cleaned up my site in 2014 I was forced to learn a lot (too much, I’ll say) about SEO, and it became clear to me that much of the accepted wisdom about the topic is either partial truth or just outright incorrect. 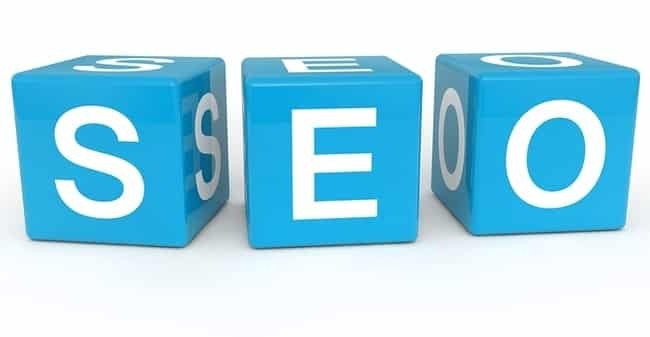 So below I’ll do my best to apply my normal style of explaining things (simplify and clarify) to the key points of SEO. If you’re dabbling in SEO you’ve probably heard that you should have good content, and that various algorithms could punish you for this or for that. Well, let me simplify for you. Your content should be authoritative on whatever it is. This includes your cat, or your feelings, or whatever strange opinion you have about the letter “j”. It doesn’t matter what you’re writing about: what you’re saying simply needs to be unique to satisfy this point. Your content should be long. I don’t know what the technical specification is, and it always changes anyway so you shouldn’t care regardless. My general rule is 10 paragraphs. If you write something in your own words, with the aim of that thing being the authority on the topic, and it’s over 10 paragraphs, it will likely get ranked. That’s mostly it. Two things. Authority/uniqueness and length. I just got done manually going through around 5,000 posts of mine from as far back as 1999. With very few exceptions, every post of mine that is highly ranked by Moz is a fairly long post where I really explored the topic on my own. Very few posts have a good ranking where I simply quoted someone, or posted a link, or embedded a video. Make your own content, and do it as if you’re writing for history to look back on as an authority. That’s the key to getting your content noticed by search engines. Links (backlinks in the lingo) are an indicator that a particular page or site is valuable. The idea is simple: if you have a good resource, or a good site in general, then people will reference it. So the pages and sites with more references (and from more reputable sites) will be ranked higher. Simple enough, except it’s quite easy to create lots of links to point to yourself, which gave search engines copious trouble in the early days. But we don’t care about that, because we’re good folk. The key for you is to follow #1 first and foremost, and then to get yourself out there in legitimate ways. But remember that there’s a difference between promoting yourself, which is quite ok when done properly, and pimping yourself all spammy like. The former is like an artist in a bazaar. You can’t get discovered without going into public and showing your paintings, or playing your music in some bars. It’s the same with web content. But you also don’t want to pay people to “review” you, or spam random forums related to your topic, etc. Spammers are like dumpster fires, you don’t even want to step on them because they’ll stink up your shoes. It takes time, but this is the strategy that ultimately builds a following and generates traffic. The biggest thing I learned about SEO was how difficult it is for Google (I’m ignoring everyone else for a number of reasons) to crawl a given website. When SEO people say, “To make it easier to crawl your site…”, those aren’t just words. It’s actually a challenge to get through poorly organized and linked websites. And you can’t get ranked on search engines if the search engines can’t index your content. And if they can’t get to it, they can’t index it. The best way to think of this is in terms of a crawl budget. Imagine that every time Google comes to your site, it can only spend so much time and energy on it. The more you waste of that budget by having a poorly organized site the less Google of your site the crawler will see before it gives up. That means lower ranking in Google for all that content you have, and, ultimately, less traffic. Crawler penetration is serious stuff if you care about SEO. Master it. Remember what I said about making your site easy to penetrate for search engines? Well, that applies to speed as well. I have a whole deal over here on website speed optimization. Have a go with it. Both people and search engines like simplicity in their titles. They want to know what this thing is about. I had hundreds of posts with 20-word titles. It was a dumpster fire. Don’t do that. And it’d be even better if it was only two words, or even one. Remember…simple. Clear. That’s the key. Try to avoid linking out anywhere for your posts. Host the images yourself. Try to use something like Wistia instead of YouTube if you’re going to use video. Think about control and self-containment. You don’t want to go through your posts a decade later (as I just did) and find that most all of what you linked to is now dead. Do it right the first time. Search engines don’t like 404 content. It reeks of obsolescence, and your rankings will reflect that. Remember when I talked about crawl penetration? Yeah, same concept here. Sitemaps make it easier for crawlers to find your stuff. What they basically do is give a linked list of everything for them to hit, and then they try to follow it. Make sure your sitemaps are healthy and up to date, and make sure you submit them to Google Webmaster Tools. Those are the main points. You could read 40 books on SEO, study them for a decade, and you’ll end up with the same points above. And the list is in order of priority (that’s why I numbered them). So if you can only do one thing, make sure your content is good. If you can only do two things, make sure your content is good and that the search engines can find it. Hope this helps someone, and ping me with any questions. 80% of what I learned about SEO I learned from my buddy Tom Zickell. He knows his stuff, and does this for a living. If you need any SEO help (or website help in general) you should ping him.